The Freemans mail-order business started in 1905 in a gaslit terraced house in the London suburbs. The company was named after Mr H. E. Freeman, one of the four founders. Business was good and after a year the firm moved to a larger site at 215 Lavender Hill. In 1922 it moved into a nearby old cinema. 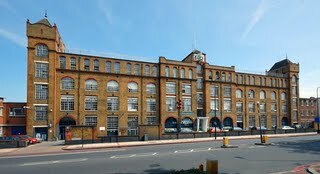 By 1936 the company had about 1,000 staff and moved to some former printing works at 139 Clapham Road which were renamed Lavender House. Following the business’s relocation to West Yorkshire, the Freemans building and surrounding site has been redeveloped by Galliard Homes as housing and business units. Two new streets have been created: Lett Road and Printer Road.